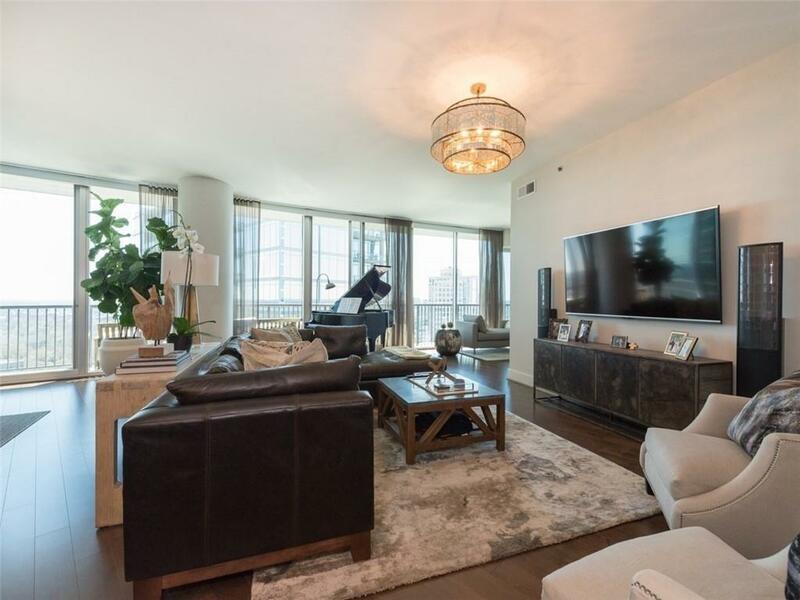 This exquisite 2 bedroom 2.5 bath home offers spacious luxury and highly coveted views of Peachtree, downtown and Piedmont Park. The foyer opens to a magnificently updated Kitchen and oversized living/dining area. The well equipped kitchen featuring all SS appliances overlooks the living and dining area providing the consummate entertaining space. 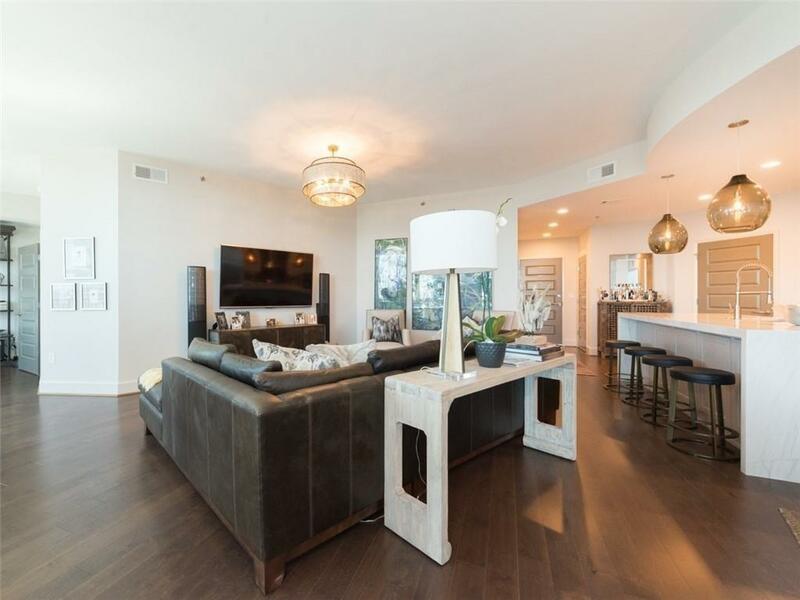 Other features include New hardwood floors throughout, upgraded lighting, Huge balcony and much more. 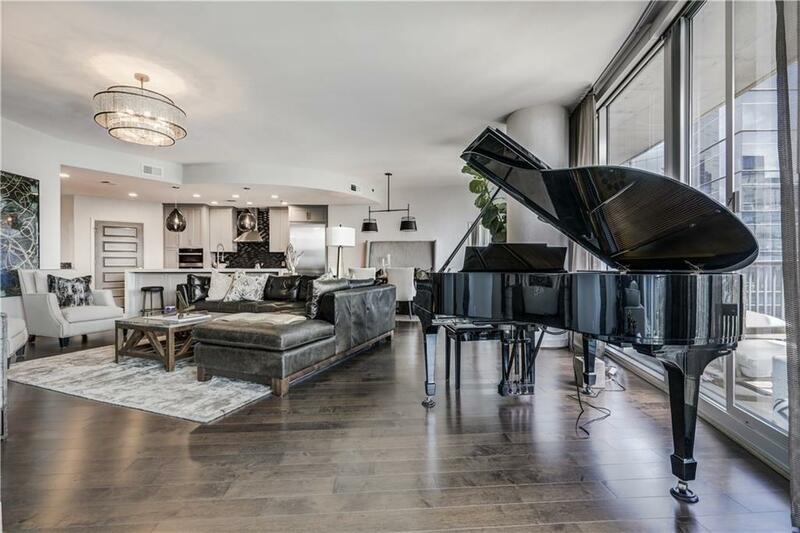 This condo also comes with two premium parking spaces. 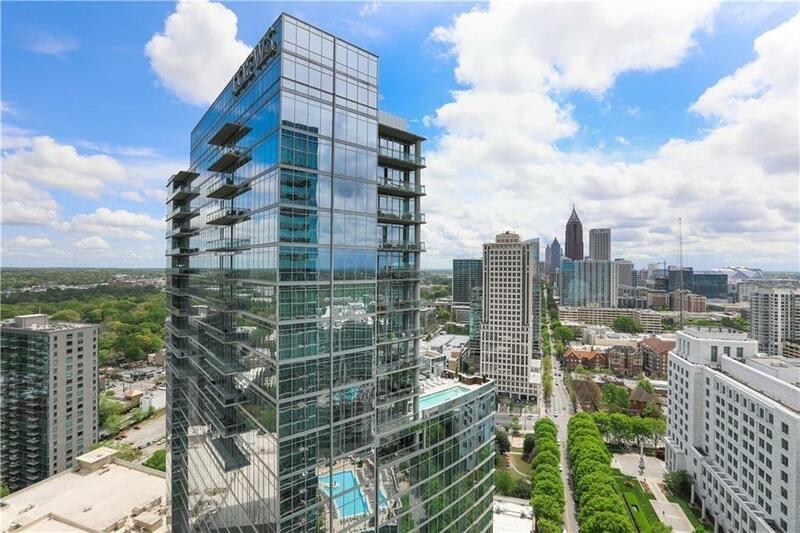 Walk to everything Midtown has to offer!